R C Decorating have experience in all areas of painting and decorating - from domestic interiors to exterior painting of industrial and commercial buildings. Based in Dudley, RC Decorating has worked on projects all over the West Midlands, wider Birmingham and Staffordshire areas, and no job is too big or too small. Using the links above, you can find out more about what we do and also see some examples of work undertaken. 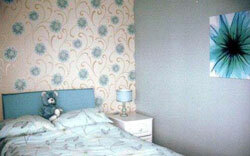 You can also contact us for a free quotation for any of your decorating needs.